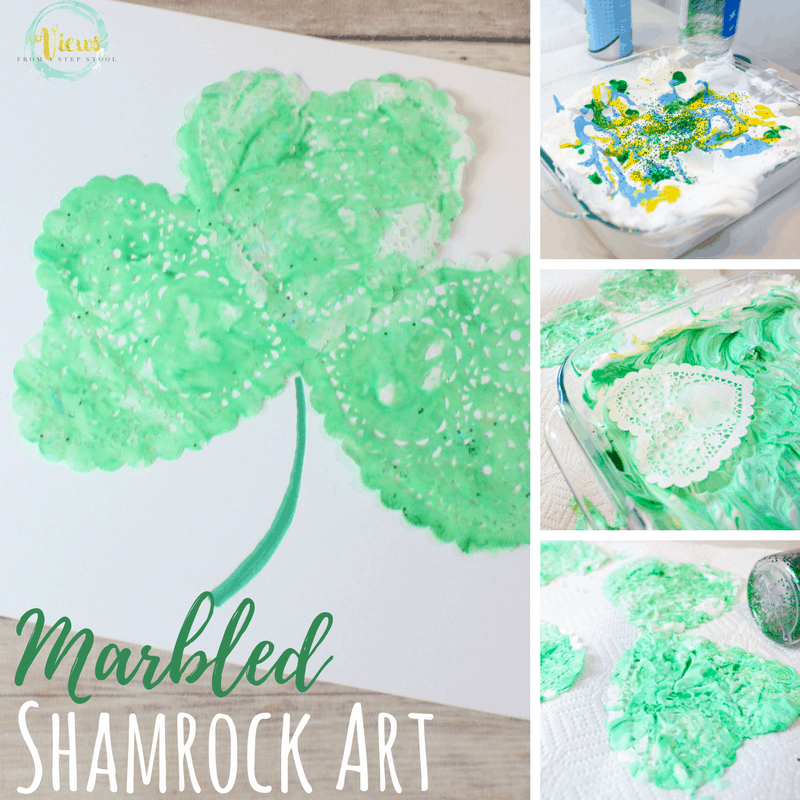 This marbled Shamrock art is such a fun process art project for kids! 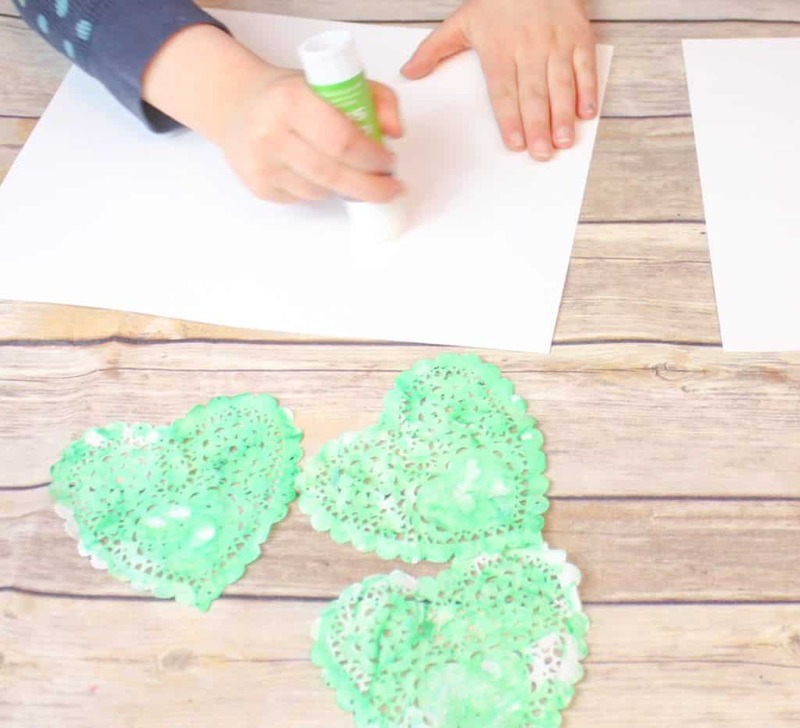 Using shaving cream, paint and paper doilies, these are simple for all ages. 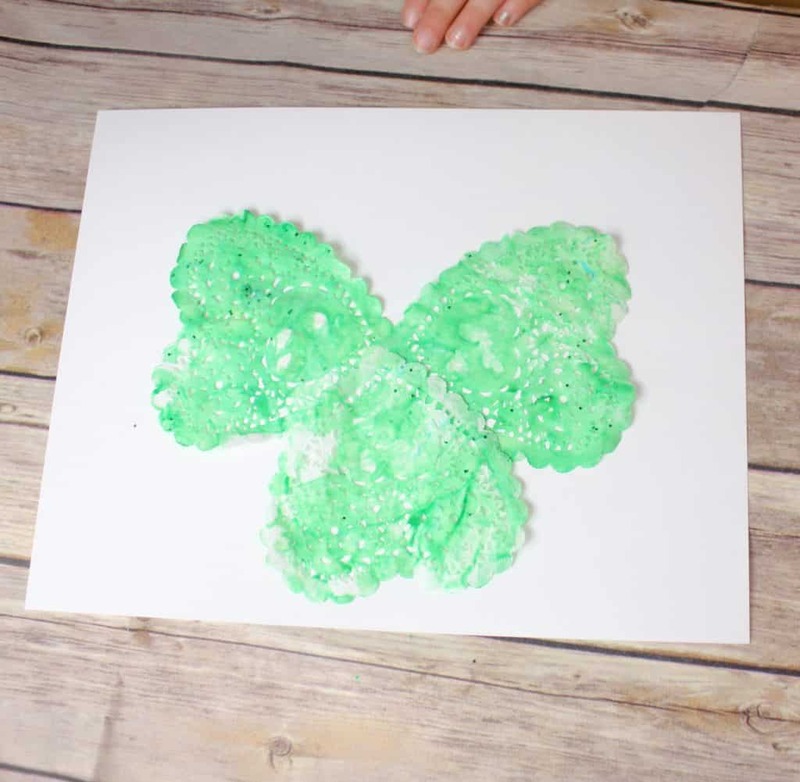 This marbled shamrock art is such a fun art project for kids! 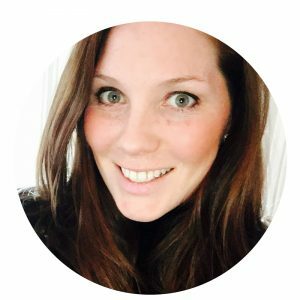 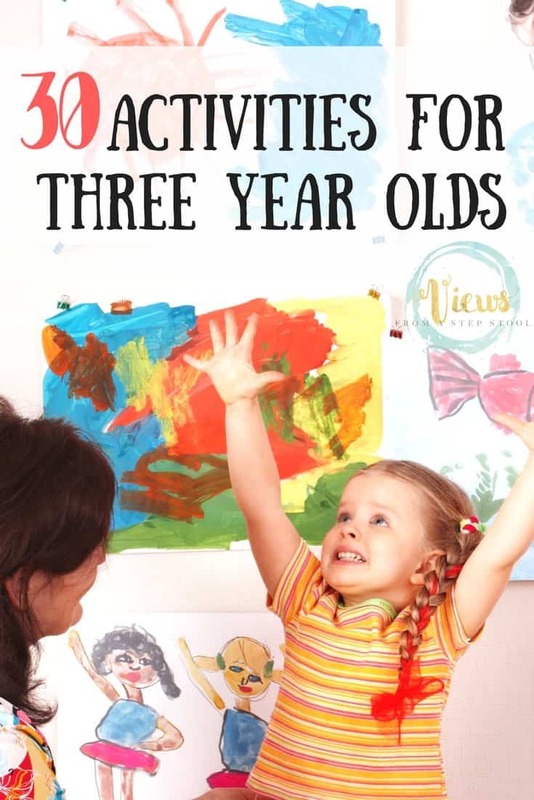 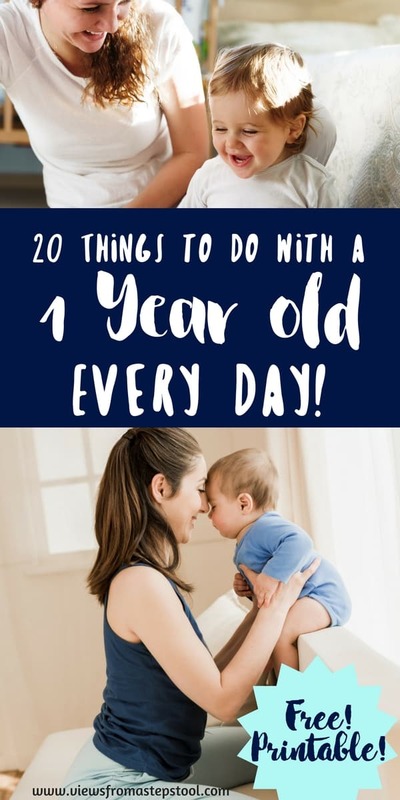 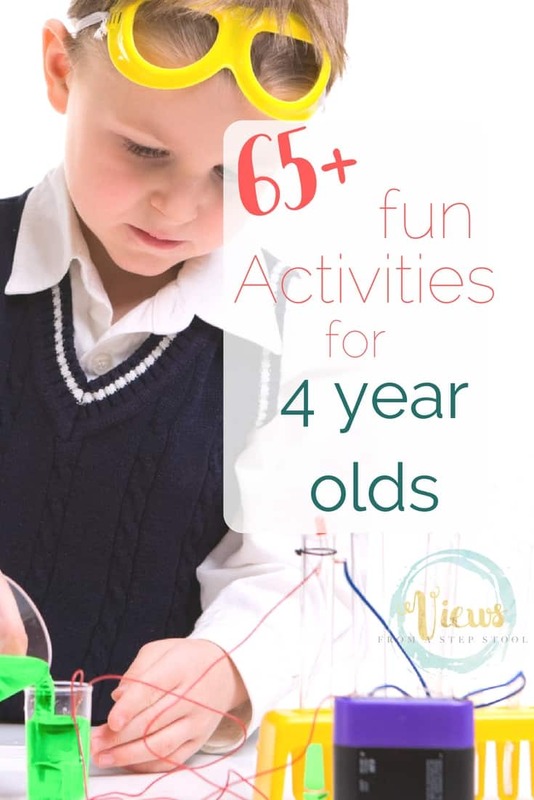 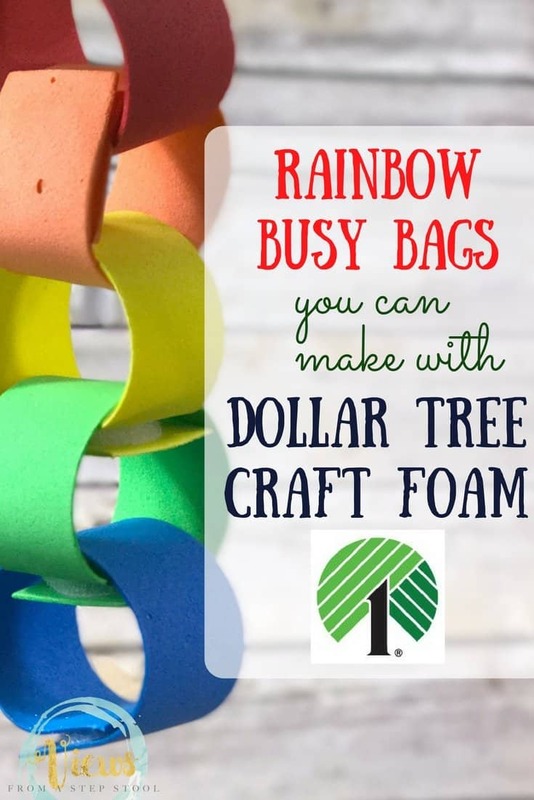 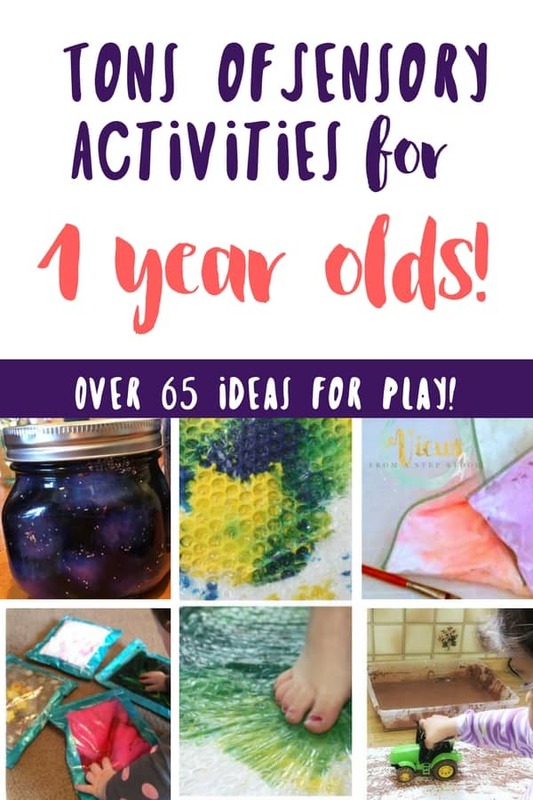 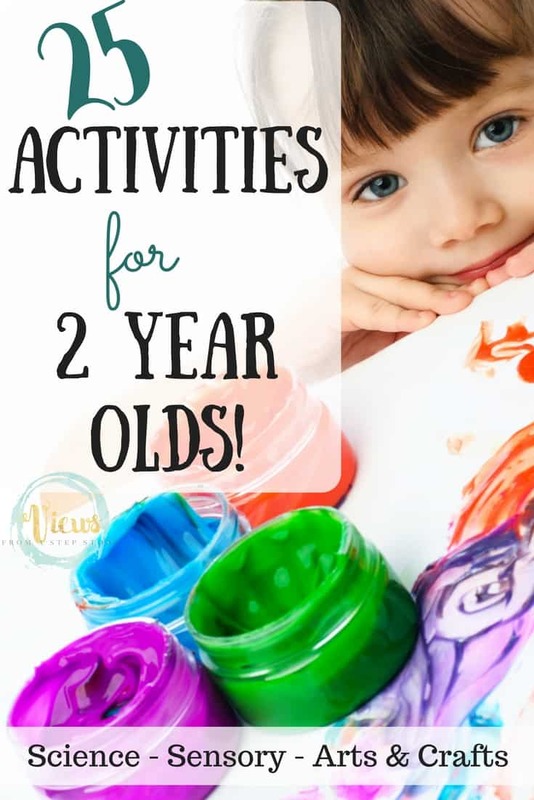 They can be used for a number of different things such as gifting or decor, or can just be done as a fun boredom buster process art and sensory project for kids. 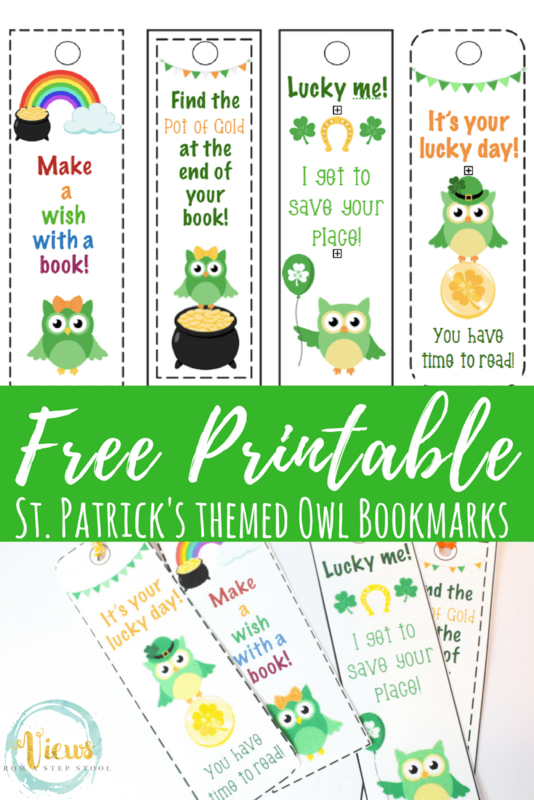 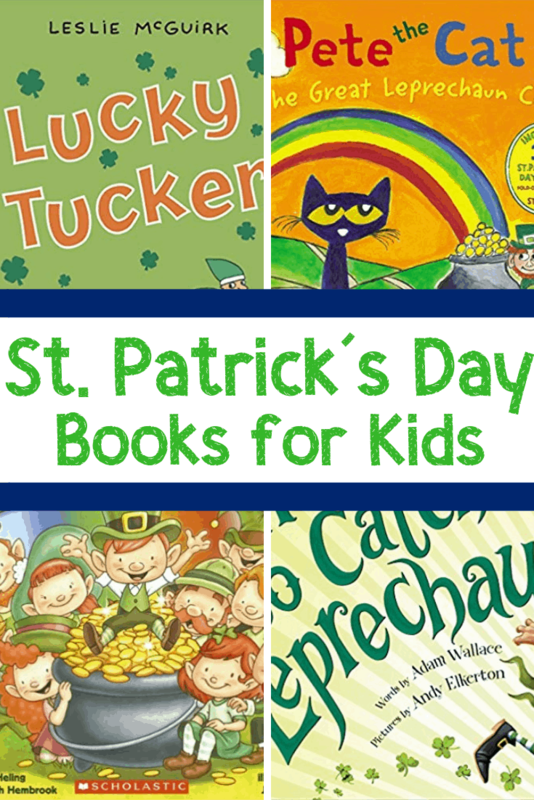 Perfect for a St. Patrick’s Day theme in the classroom or at home. 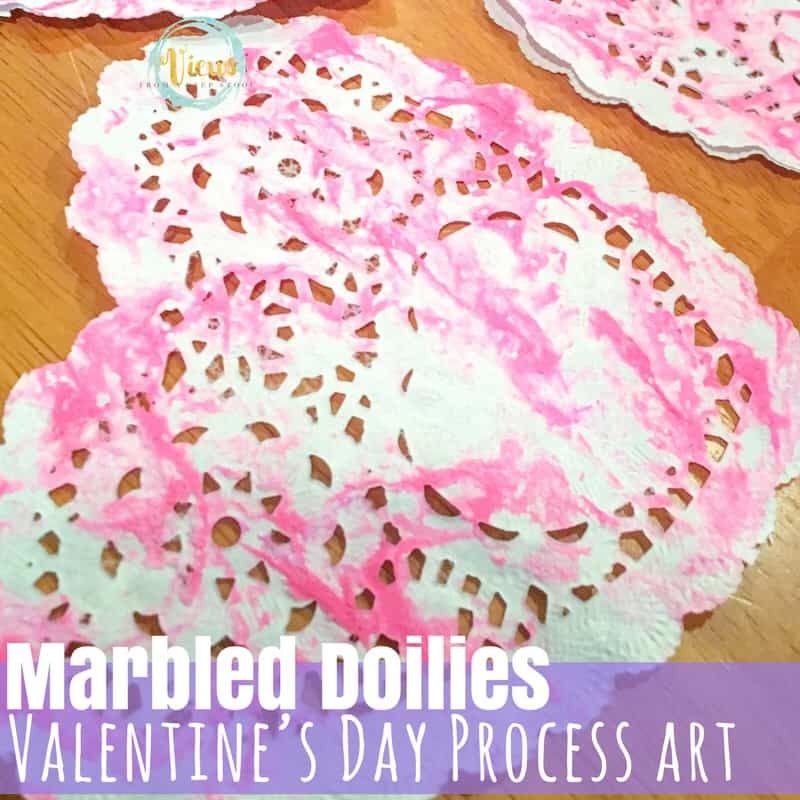 We have been making these marbled Valentine hearts for years, and it’s become one of my favorite February traditions. 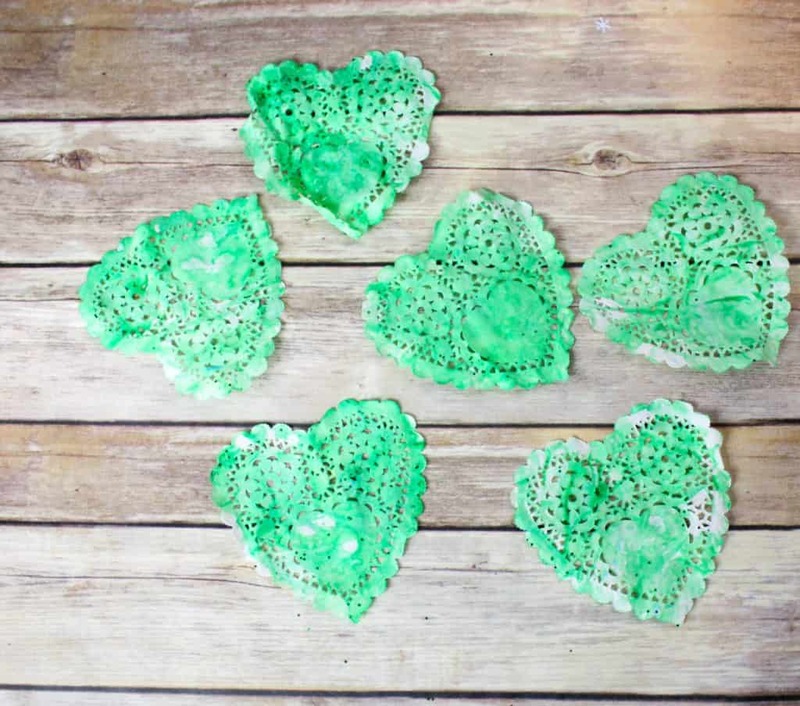 However, I always throw extra packages of paper heart doilies in my basket at the dollar store, and end up with extras. 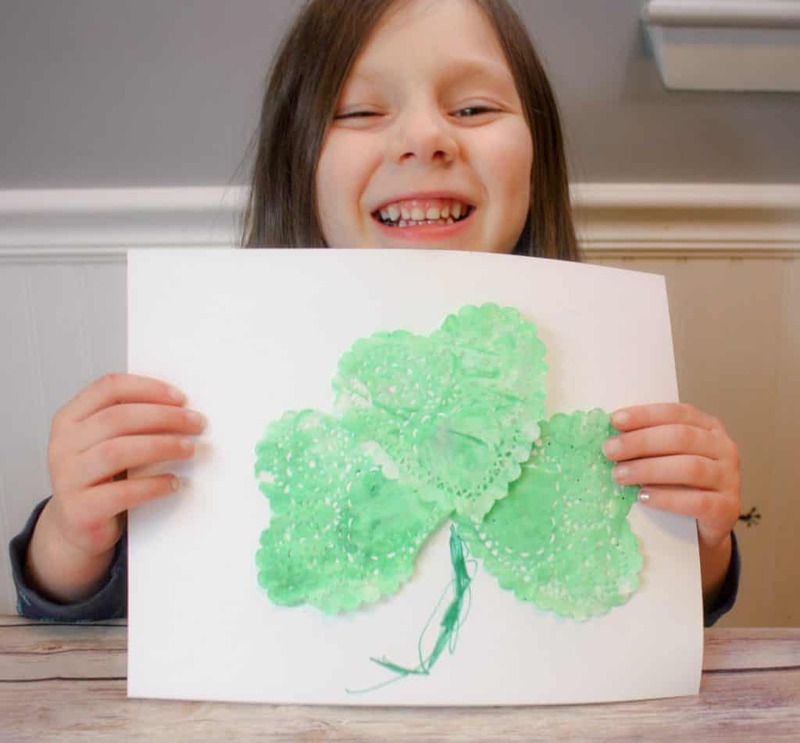 This year, we have decided to turn our marbled heart project into marbled shamrock art but swapping out the pink paint for green, and assembling the hearts into shamrocks! 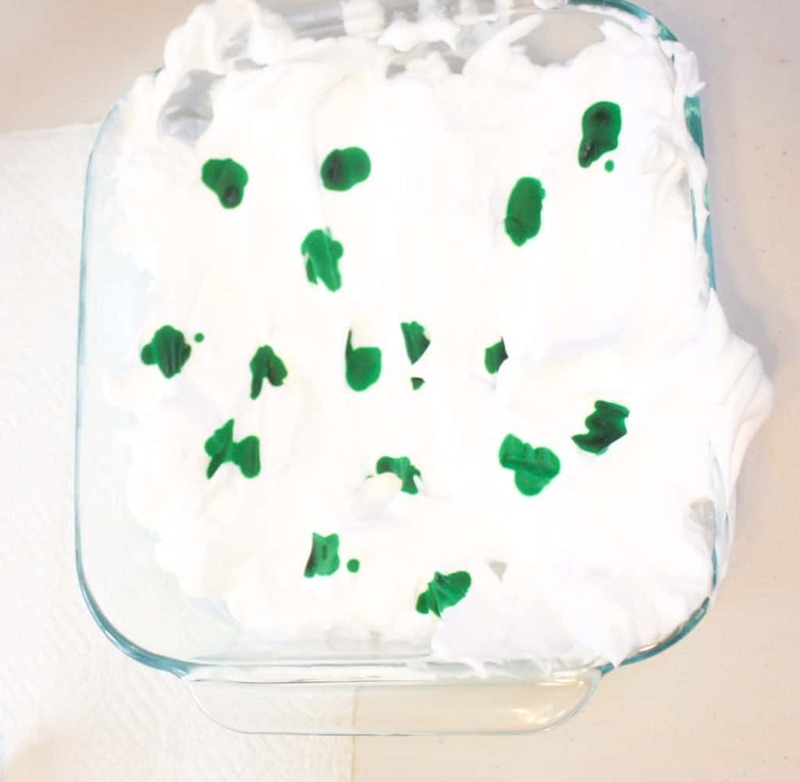 In a cookie sheet or baking dish, squirt the shaving cream to cover the surface. 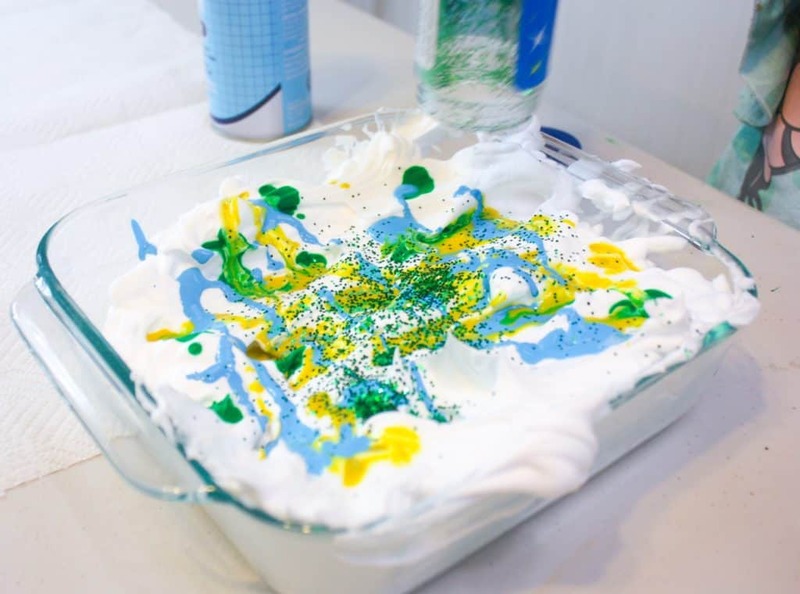 Drizzle the paint over the shaving cream (see photo below). 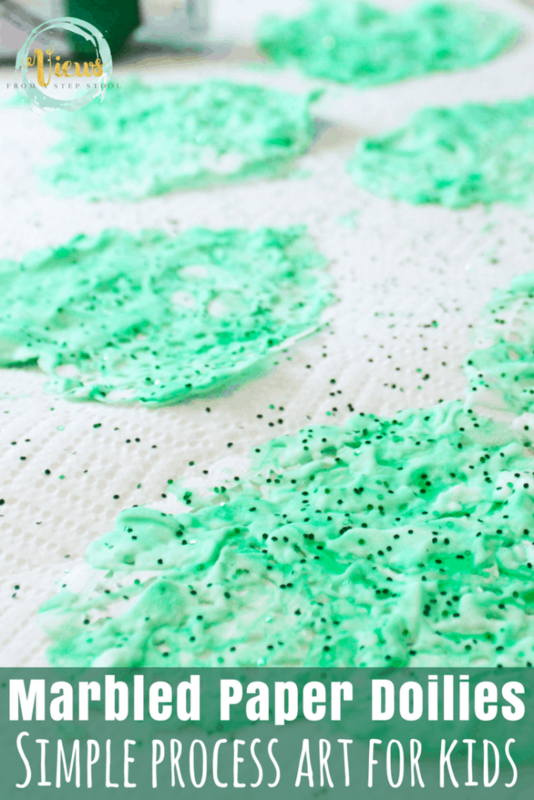 Add glitter to make it sparkle – but much of the glitter will likely fall off and leave a but of a mess. 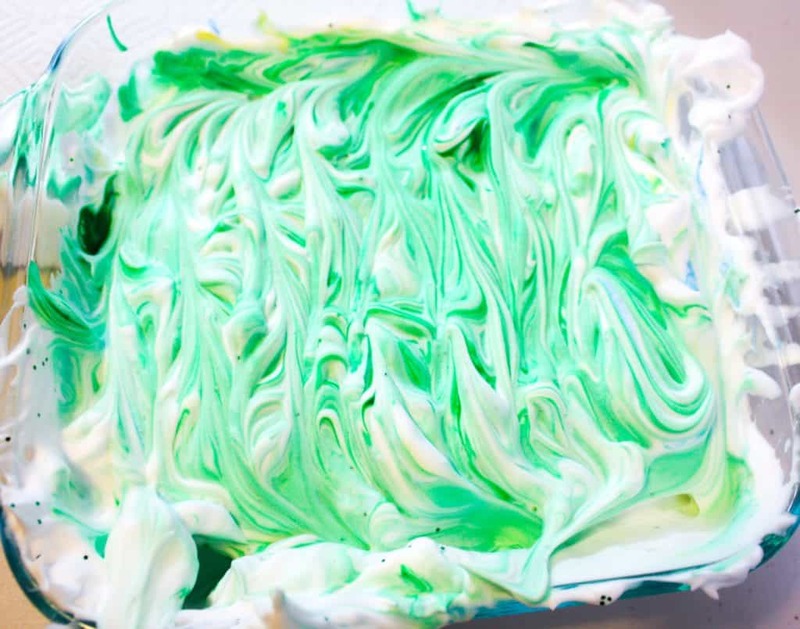 Run a toothpick or straw through the paint, all over the surface of the shaving cream, to get a marbled look on the top. 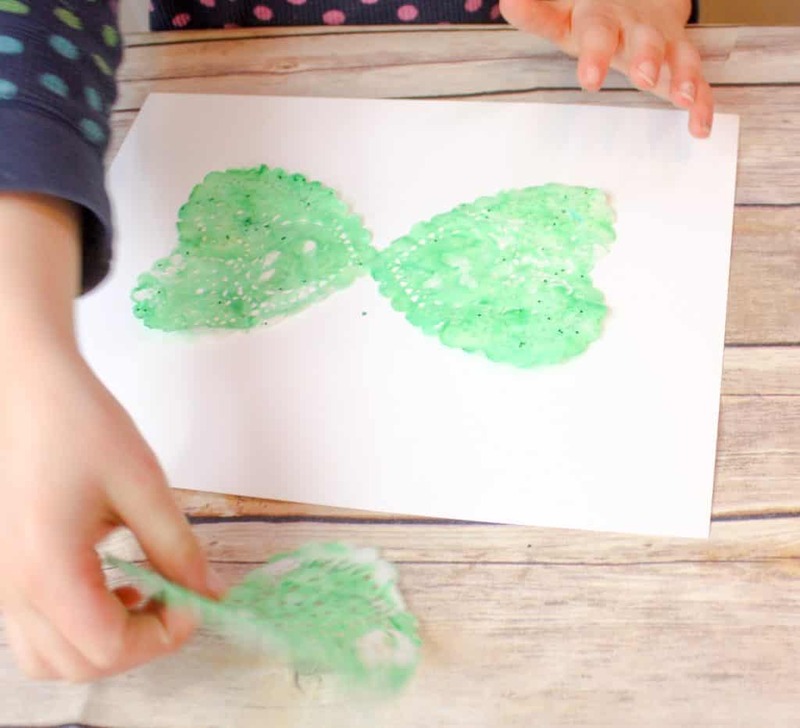 Place the paper doilie on the marbled shaving cream and press down lightly. 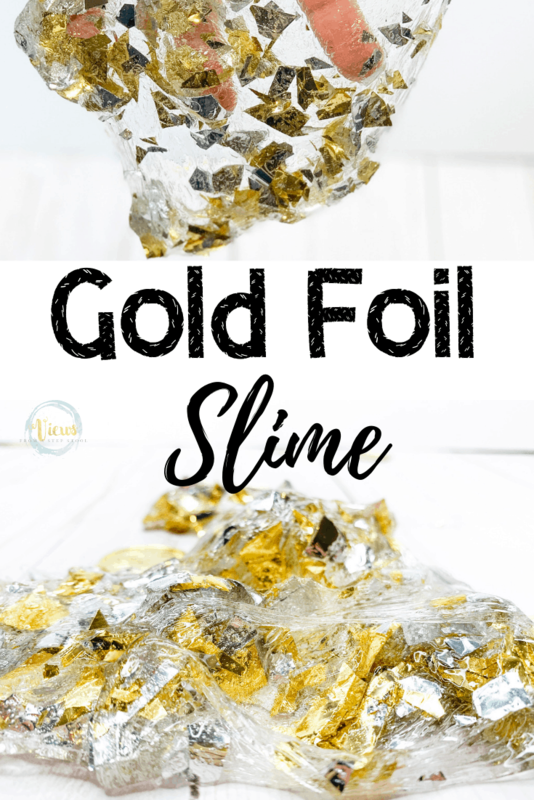 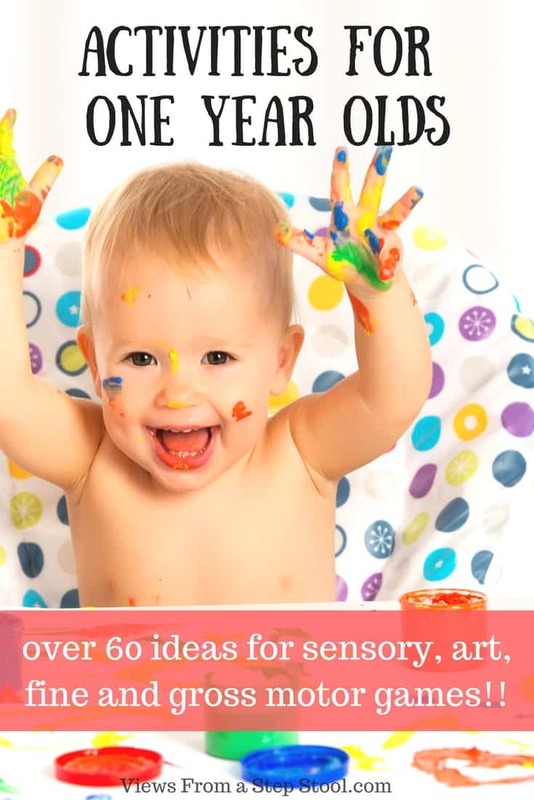 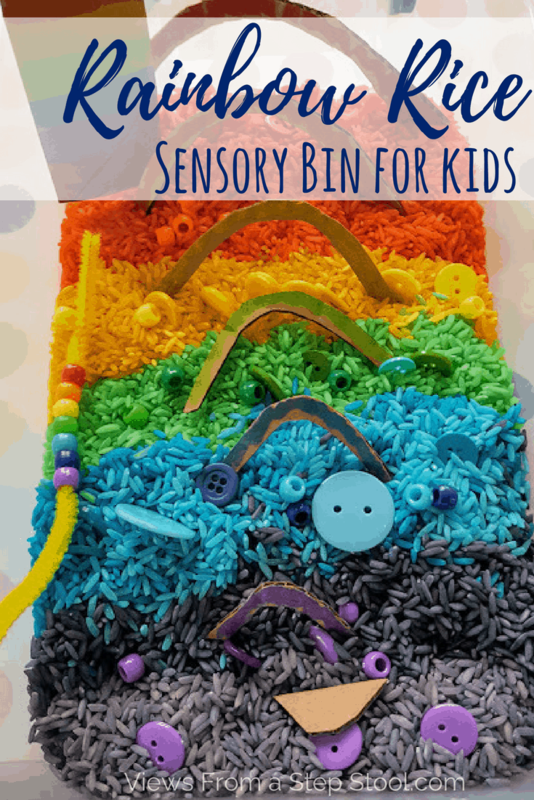 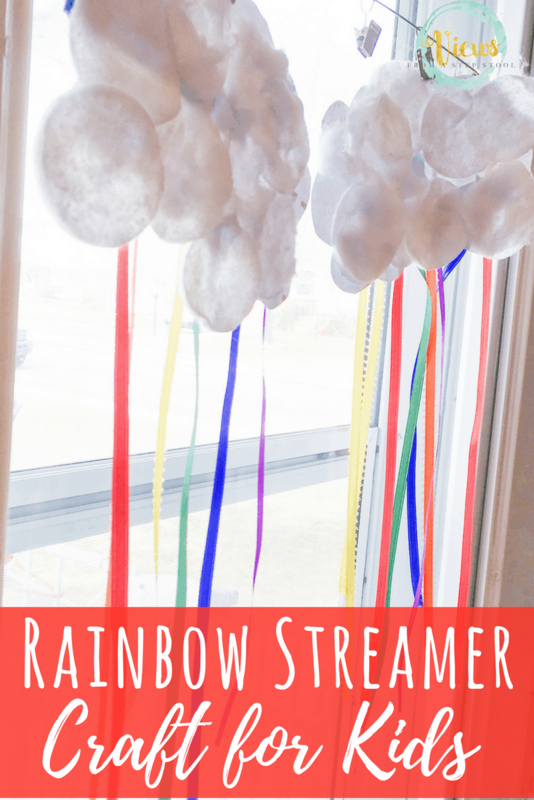 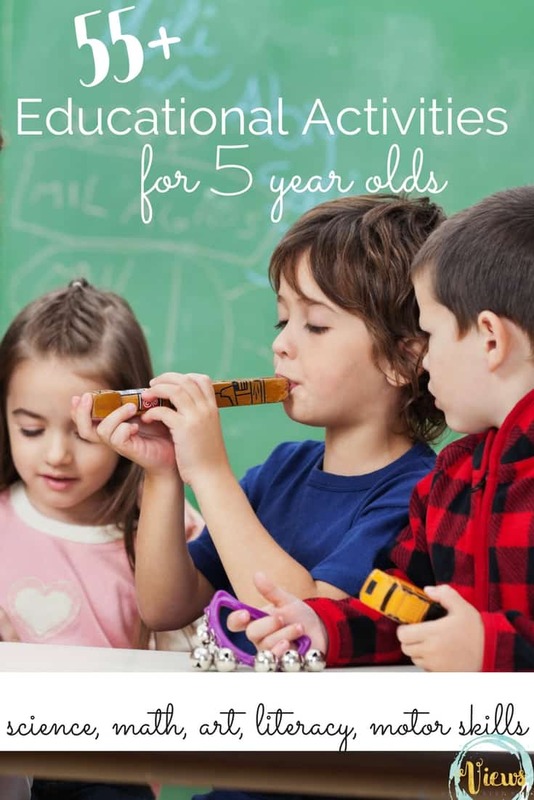 This is a really fun sensory experience for kids! 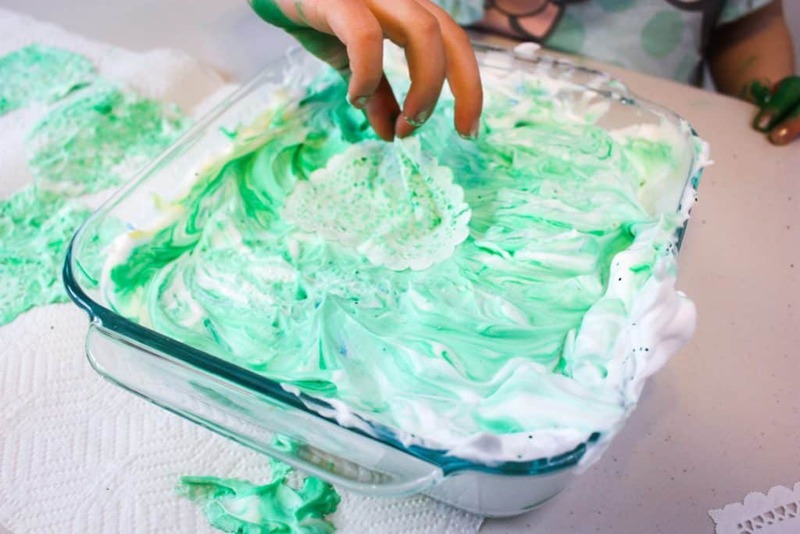 *Add some essential oils to the shaving cream to kick the sensory experience up a notch. 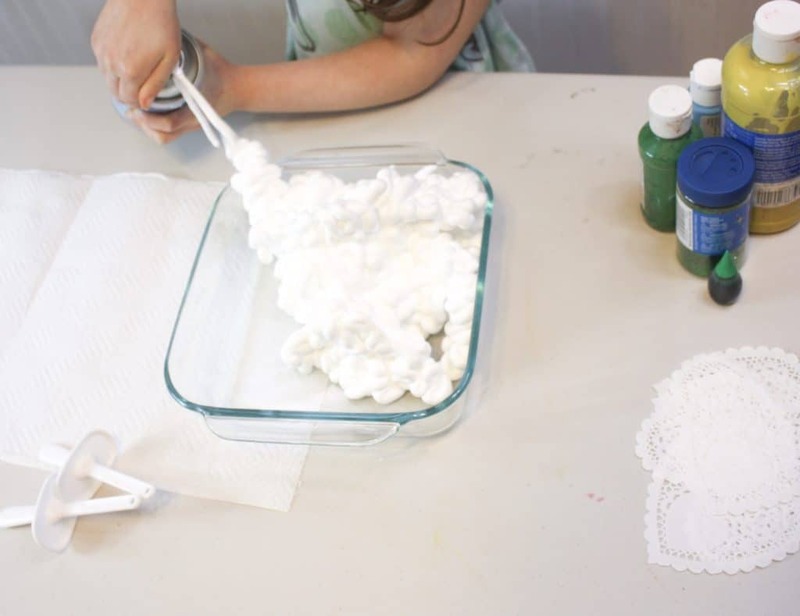 Lift the doily from the shaving cream and place on a paper towel to dry. 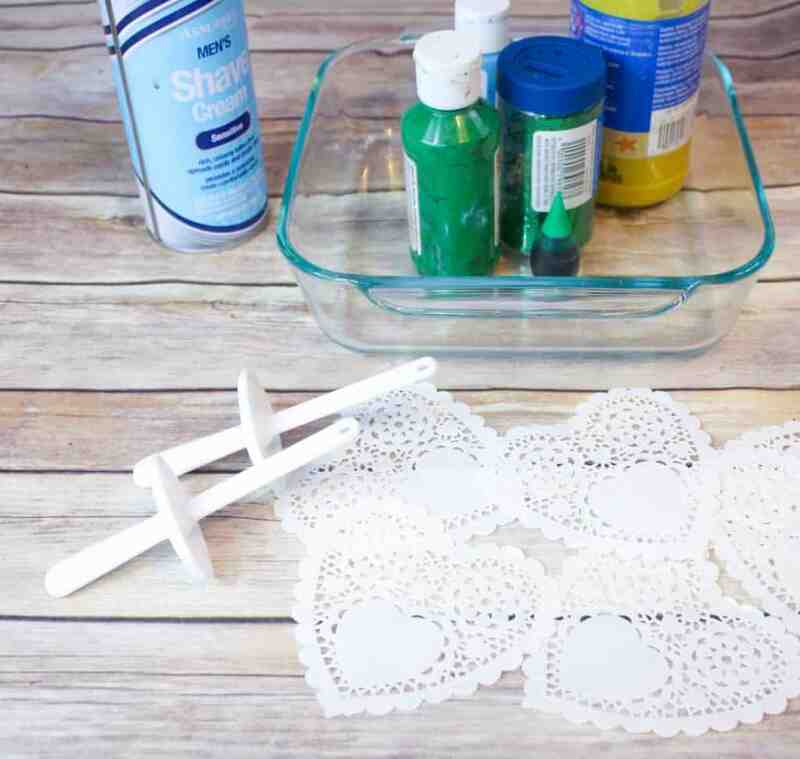 Once dry, brush some of the dried shaving cream off of the surface of the doilies. 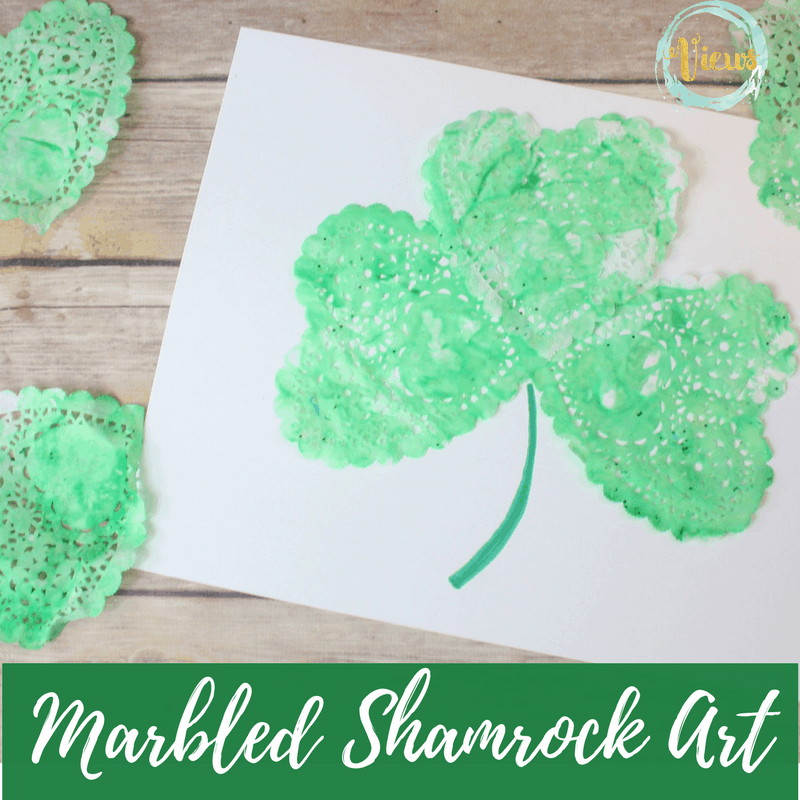 Left behind will be a beautiful marbled shamrock leaves! 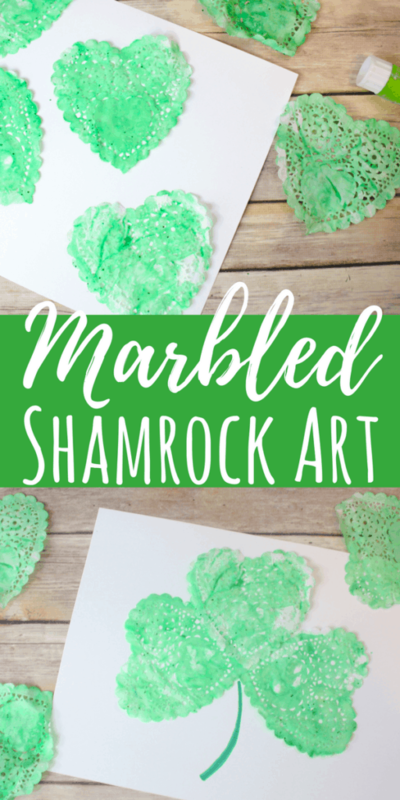 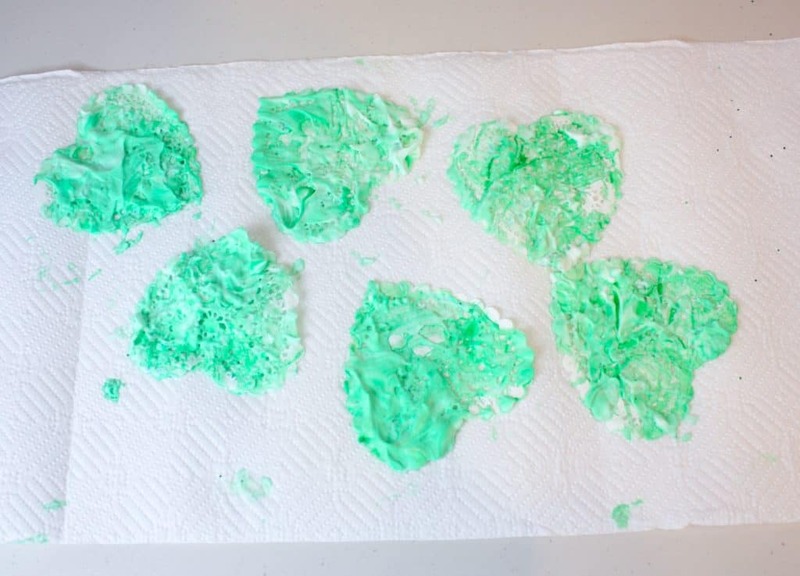 Make a Marbled Shamrock Art Project to Keep!